The Womens Onyx Jacket is made of a 100% recycled weather protection fabric, so you get reliable protection from the elements–and a clear conscience! 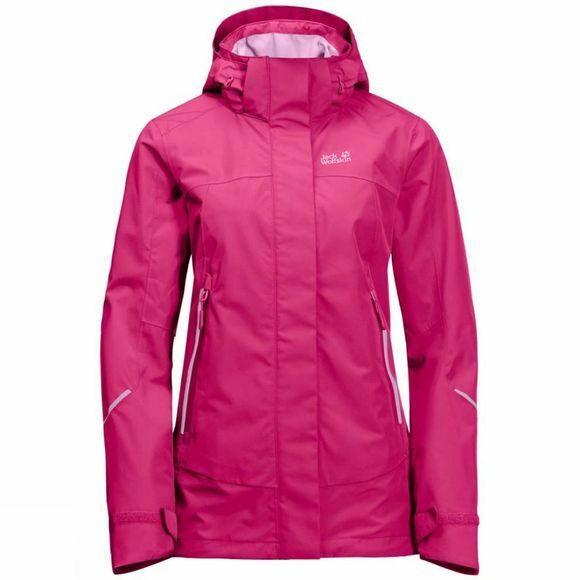 The jacket is also very breathable, a feature you'll certainly appreciate during tough days on the trail. And when you're pushing yourself to the max, you can open the venting zips for a refreshing flow of fresh air. In fine weather you can leave the hood at home and adjust the collar to suit the conditions. When the weather turns cooler you can use the system zip to team the Womens Onyx Jacket with a compatible Inner jacket to create a warm, winter-ready combination.